If you’re too busy to get out into the world and explore it on your own, you may find yourself looking for books to help fill that need in your life. Writing about travel is hard, and there are some authors that have gotten it done better than others. If you’re looking to find an escape in a book on travel, then here are some of the best books out there. These will whisk you away on the adventures held within their pages. There are so many more amazing books about travel out there that it can be hard to choose where to start. We put together a list of what we think are the best travel books ever written, each one making an excellent place to start your journey into the world of travel books. Picking up a book can be an excellent way to relax and take your mind off of the stresses of everyday life. These books will offer you an escape to all sorts of places, people, and times. The first book on this list is a piece of fiction, but that doesn’t lessen the value of everything that’s inside of it. This book makes it onto several lists for several different reasons. Most readers will agree that this book is inspiring in its own way and full of charm. The fiction story takes on a fable role, giving the readers a chance to really explore what’s going on inside of the story. This book won’t just make you want to get on the next plane, but it will make you think about what you’re doing with your life. This book is the sequel to Lee’s first autobiographical novel. This part of the story follows him as he walked to London and then further on to Spain. His journey across Spain is finally ended with the outbreak of the Spanish Civil War. Although the book was written well after the events occurred, the book is full of vivid descriptions that can put people in the moments that happened there. While this book may be harder to find because of its age and the time that it spent out of print, this book is well worth the effort of finding and reading. Unlike other books on this list where people have walked across countries, Raban’s book tells the story of him going the 4,000-mile journey around Britain. Not only does this book cover the actual events, but Raban uses the time to reflect on his life and comparing it to the trip that he took on his boat. While this book is a sequel to Peter Mayle’s previous travel book about Provence, this book provides the reader with a deep look into the region. He explores the things that have changed since the time that he spent writing the first book. Not only does Mayle’s book tell you how to really get the most out of the area, but it also takes a peek into the life that he leads while he’s there. This book provides a real connection to both the author and his surroundings. In this book, you’ll find the story of a man that takes on a feat so crazy because he wanted to find out why he was afraid. This story is one full of inner conflict while traveling. Moorhouse took on the challenge of crossing the Sahara from the Atlantic Ocean to the Nile just because he wanted to understand why he was afraid of doing so. He took no one else with him and spent time working issues of fear and loneliness. George Orwell is best known for other works, such as 1984 and Animal Farm, but before he was working on his most famous works, he was doing some traveling of his own. This travel book was the last of the nonfiction books he wrote, but it covered quite an interesting time in his life. The book takes place during the Spanish Civil War where Orwell was part of the volunteer group that was fighting fascism. This book serves to showcase a certain period of time, but it also helps to show Orwell’s place in the moment of history. While Bryson has been writing travel books for a while, most of them have been focused on parts of the United States. But this book is concentrated on the country of Australia. His attitude makes the book a joy to read. It’s full of humor and fun. He makes commentary on the political situation in the country at the time. This book will give you a good show of the country and get everything factually right. It’ll make you want to get on a plane to explore Australia for yourself. This book blends fact and fiction, but that just makes it a more fascinating reading experience. This book follows the adventure of Chatwin as he tries to discover the origin of an animal skin that his grandmother has. This book is full of mini stories from his entire trip. The total number of stories is 97, but that just means that there’s a lot of places for you as a reader to escape to as you follow Chatwin’s journey to the South American region of Patagonia. This book will not appear as a travel book when you first start out. This book is a series of biographies about country musicians that starts down small towns and backroads in America. Dawidoff looks at the genre and starts looking for its origin in America. This travel book will be a hit with anyone that’s also interested in learning about musical genres. While the areas that Lewis and Clark explored are places that many people live now, the adventures of Lewis and Clark are still inspiring for tons of individuals. This journey back in time shows just how wild most of America was before it was a full country. Many of the places, plants, and animals that Lewis, Clark, and the rest of their crew discovered were brand new. They mapped out areas that hadn’t been explored. These adventures may be old, but they were crucial to the United States. The journey captured in these journals may just make you wish that you could find some unexplored land to tromp through. While many travel books are just a nice escape, Thomas Swick’s book will make you want to go out and travel regardless of work or money or time. The book is a collection of essays about the seven ideas that Swick identifies as “the seven joys of travel.” The essays talk about the parts of travel that are taken for granted. There are tips and titles of books that will help people really appreciate the trip that they are about to take. Mark Twain is well known for his works of fiction, but in this book, Twain takes a look at the place that inspired him. He writes of his steamboat days and the cultural history of the places where he was. This book is a lot of things that his fiction isn’t because of its nonfiction nature. He rambles on at times about the subjects that he’s discussing, but that’s because it’s his voice and thoughts. Within its pages are the sources of inspiration that would lead to his most famous works. This book started as a diary kept by Lewis while he was working in Naples as an intelligence officer. His job there was to deal with the locals. Inside this book, he wrote about the city and its people. He wrote about everything that he saw and all the strange people that live in the city. This snapshot of World War II is rarely seen in textbooks, but Lewis’s style makes it an excellent read. Many writers and readers have read this book. This classic is on tons of reading lists, most of them not aimed at travel-centric books and their readers. This book follows Sal Paradise, who is really just Kerouac himself, all over the United States. This book is full of adventure based on Kerouac’s actual travels through the United States. After reading this, you may want to take a road trip of your own. This modern travel book is about Stewart’s walk across Afghanistan in 2002. While full of danger and towns destroyed by the Taliban, this book is an excellent piece of travel writing. There isn’t just danger in the landscape, but kind strangers and Stewart’s own knowledge of Muslim customs and Persian languages. The descriptions of the people and the places that Stewart finds on this journey are incredibly rich and paint a brilliant picture of the area that he walked through. Although this book is written in the form of a diary, there are many authors that say that Byron was looking to achieve the tone of modern travel writing. Byron’s tale covers most of the Middle East where he met many interesting people and saw many interesting buildings. There are some buildings within this book that no longer stand. This book is another classic travel book that many well-known travel writers have read and would recommend. Consistently called a classic of travel writing, this story is the description of one man’s journey in one of the most remote and magnificent wildernesses. Newby worked in fashion before his journey into the mountains and hadn’t done a lot of climbing. While his inexperience would seem to set this story up for tragedy, this piece of writing has become a favorite of so many people. While Newby faced his midlife crisis with a trip to climb mountains that even experienced mountaineers wouldn’t have touched, maybe his adventures will inspire you to get out of your comfort zone. This book is the first of Douglas’s travel books. This travel book about Southern Italy is about much more than just the physical place. Douglas writes of the local legends, folklore, patron saints, and even the local ghosts. This is considered a classic of travel writing. This book wants to take on everything in the area to give the reader a beautiful description of the place. This follows Steinbeck’s journey across America. Not only does he go coast to coast, but he makes sure to cover the northern and southern parts of the country as well. There are some people that would describe this memoir as angry at times, but who doesn’t get frustrated out on the road? Steinbeck writes about everything that he sees along the way, sometimes even reflecting on how those traits are in his own attitude and being as well. This book is full of wisdom that will keep you coming back to get a new meaning from the stories. Cheryl Strayed, after the death of her mother, decided to hike the Pacific Crest Trail. Strayed’s story is one full of emotion as Strayed tries to find a way to deal with the pain that she felt. This book has been a national bestseller, and people all over the world have fallen in love with the struggle that Strayed went through as she tried to figure out her own life. We hope this list of books inspires your travel spirit and helps you step outside your comfort zone. After all, that’s where the best parts of life happen! 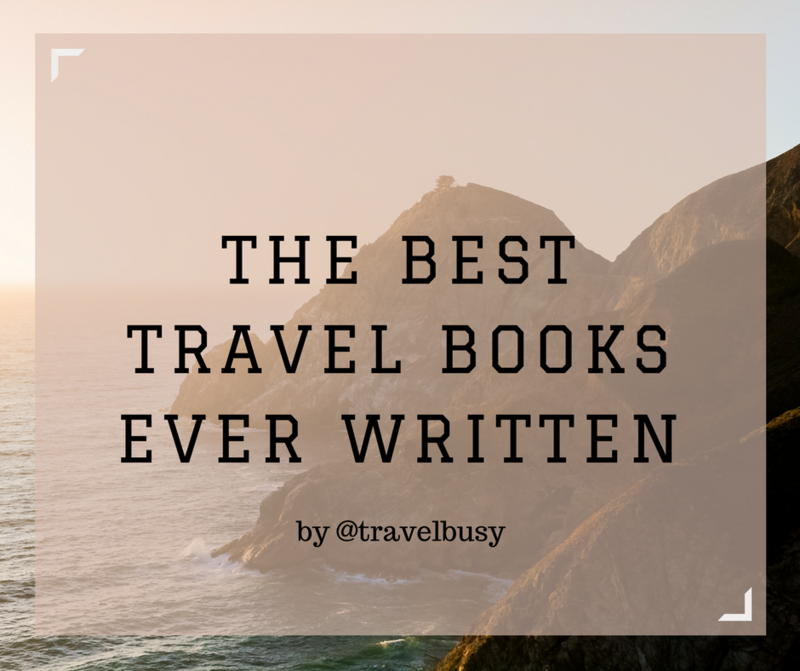 Great list of travelbooks! Thanks for sharing! Interesting list…what about The Art & Zen of Motorcycle Maintenance. The Alchemist is good but Coehlo writes a personal journey about the Camino that is a better “travel” book. Do love anything by Bill Bryson. Great list of travel books! I’ve already read only two from your list, so I am very grateful to find this list! On the other hand, I’ve also listed some travel movies that you might also enjoy. Feel free to take a look at it http://www.entire-health.com/6-best-movies-to-watch-tourists. Awesome list traveler should try. Thanks for your share. That is a great list. I thought about reading a little bit more about other people traveling, but didn’t know where to start. There are so many books out there to read about this topic. I just couldn’t decide for one yet. I will do some more research based on your list and see what I can find. Especially the Book The Places in Between by Rory Stewart sounds interesting. It is something I probably wouldn’t do. Thank for this! Nice article shared its very interesting and informative by the way i really enjoyed it thanks for it. Hey, thats an awesome collection of books. Reading helps to travel some majestic places which sometimes we never knew existed. 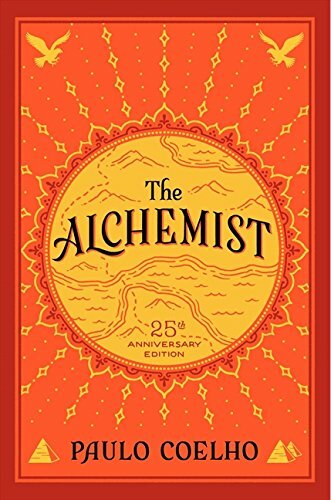 Yes, Alchemist and all other books in this list do the same. These are excellent book recommendations. Another one which I’d love to read is Great Journeys: Travel the World’s Most Spectacular Routes. i am impressed with the blog writer, You made some good points there. I did a search on the topic and found most people will agree with you.